With an easy-to-use, reconfigurable back panel, you can change out accessories to accommodate your weapons storage needs now and in the future. Accessories can be mixed and matched to utilize all the space in a cabinet and accommodate a wide variety of weapons, gear, optics, and spare barrels. For example, bins and weapons can all fit into the same cabinet to help maximize space and keep ammo or small parts at hand. Standard UWRs and 84″ Cabinets offer an optional Back Panel Accessory Kit for ultimate flexibility and configurability. 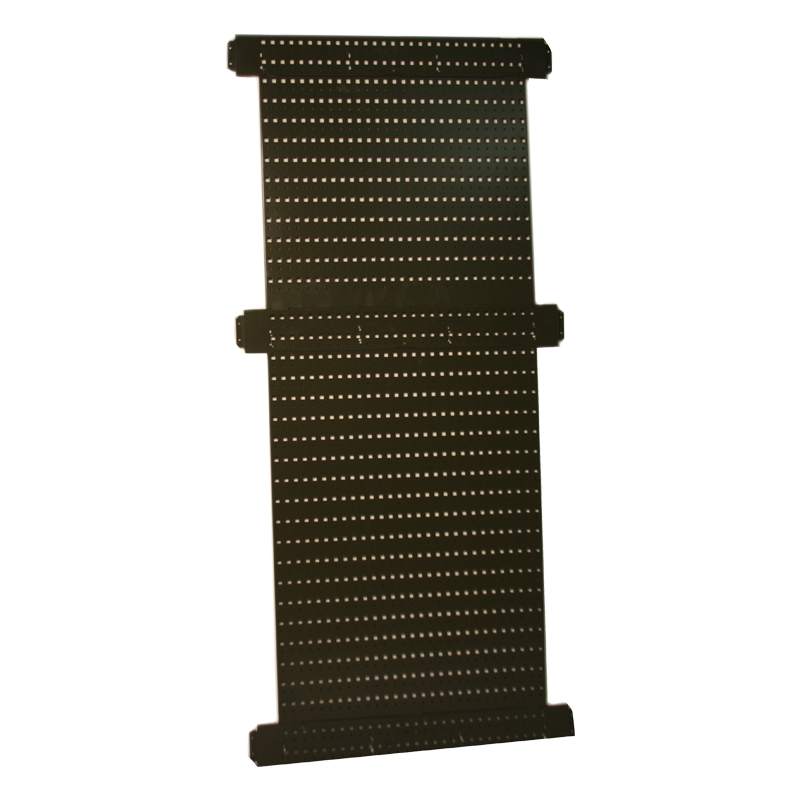 This back panel features the same perforated steel as the rail element, but in a pegboard-like design that covers the entire back of the cabinet to allow for infinite configurations. The UWR Back Panel can be easily added into any existing Standard UWR or 84” Cabinet without compromising the retractable doors, security, or NSN certification. 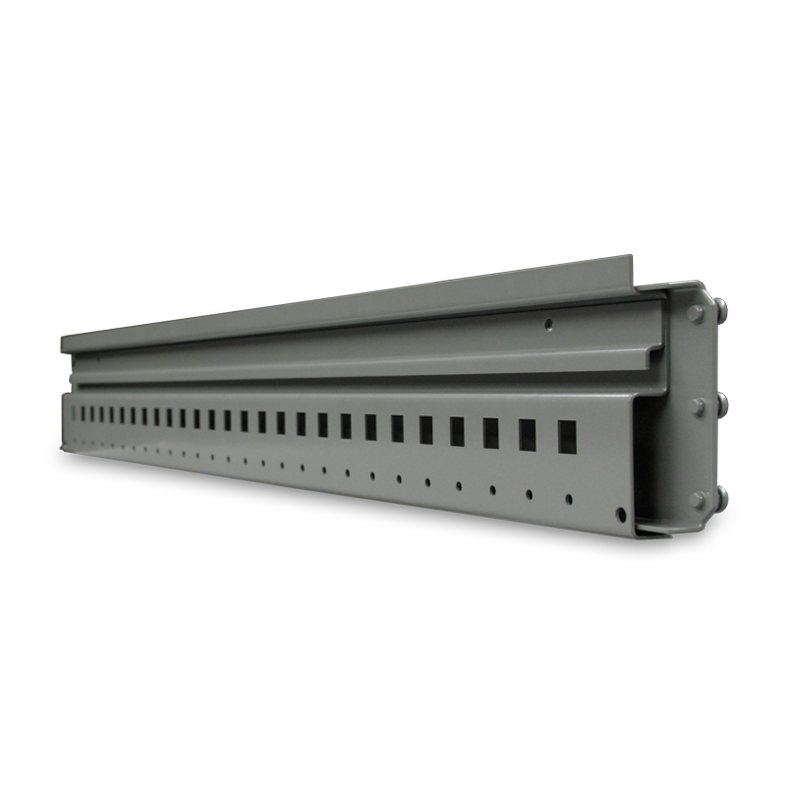 Standard UWRs, UWR Minis, and 84″ Cabinets utilize specially placed rails to support all accessories. These rails can be moved as needed to accommodate different weapons. Retractable doors and locking bars provide weapon security, according to specific military requirements for the physical security of conventional arms, ammunitions, and explosives (OPNAVIST 5540.13C, AR190-11, DOD5100.76-M). The fully welded, heavy gauge cabinet provides long-lasting service, even under the toughest conditions. All supports are designed specifically for the weapons they hold to keep them secure and undamaged during storage and ensure that they arrive in theater in the same condition they left in.